The jasmine flowering in our backyard … the perfume is wonderful. I get these all the time. This place needs a little cheering up! Click the image above to see the lovely detail in a larger copy. I can’t find out who the artist is, but nice work whoever you are. 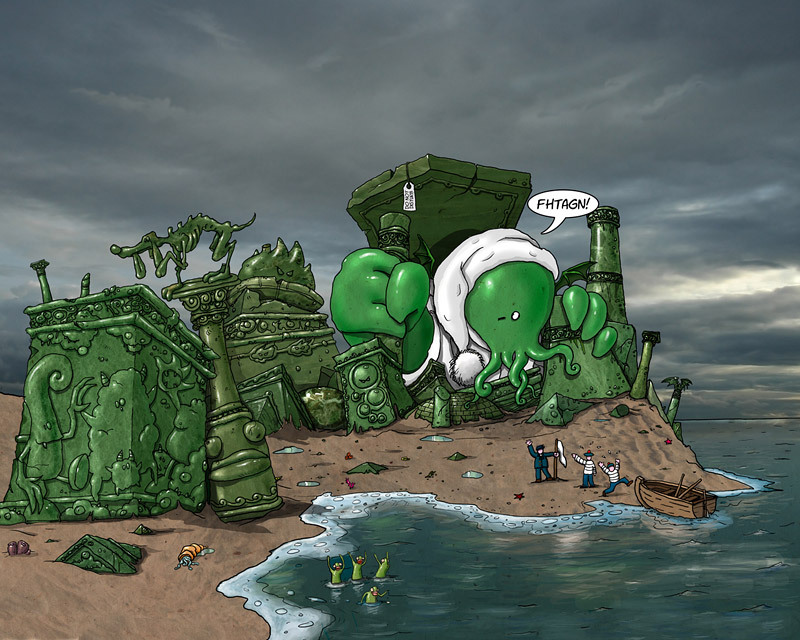 Update: The artist is Francois Launet, and he has a whole site chockers with wonderful Cthulhoid goings-on here. Samuel R. ‘Chip’ Delany … shame I’ve never read any of his books! Perhaps that last post wasn’t quite in the spirit … but a very Merry Xmas to my readers—and may 2007 bring you much health and happiness. I don’t know half of you half as well as I should like, and I like less than half of you half as well as you deserve! You know all that lint that collects in the lint collector in the dryer every time you dry your clothes? Where does it all come from? How come your clothes don’t eventually disappear? … you’re too busy to post anything on your blog and most of your recent posts disappear off the front page because they’re so old? Jackson Pollock Terrible appropriation of name, but great fun. Beauty of the English language, wherefore art thou fucked? Update: Thanks top Sarah for pointing out that ‘wherefore’ means ‘why’, not ‘where’. See, you can never stop learning!